Carloway (Carlabhagh) lies at the head of Loch Carloway on the north west coast of the Isle of Lewis in the Western Isles of Scotland. It is famous for its well preserved broch which is believed to have been built during the iron age, around 1500 - 2000 years ago. 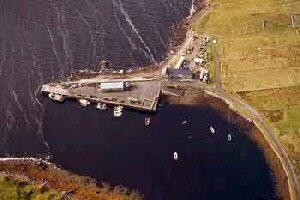 Carloway's pier is used by local fishing vessels and small leisure craft.